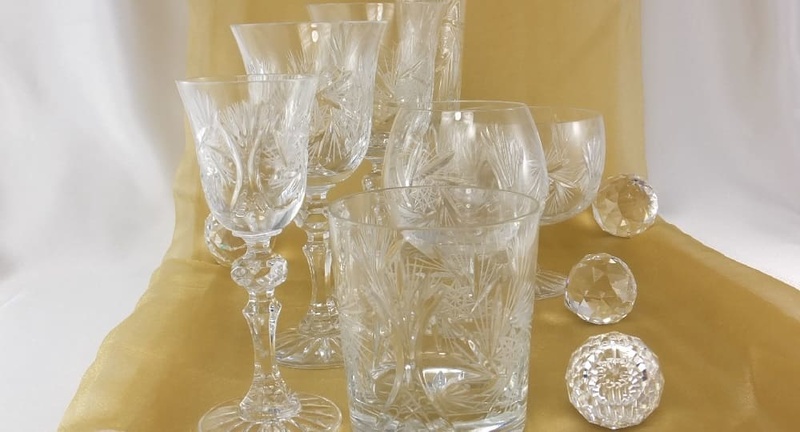 Collection C ... Carat - Noble crystal glasses for special moments. Although the known rules for serving the various types of wine have been relaxed somewhat in recent years, the appropriate glasses still belong to the sophisticated table culture. The simplest rule - the wine glass is smaller than the red wine glass and the Champagne glass is recognizable by its narrow silhouette is known to everyone. The other rule, which says that you hold this glass on a stick and not the cup itself, but a little less. The reason for this is the warming effect of the noble drink by the body temperature of the hand. The sparkling crystal wine glasses are just part of the perfect ambience and stylish table setting. The color of the wine is skillfully emphasized by the fine cut. The special flair at the dessert or coffee hour give the Champagne flutes with the tingling content. Our collection offers you a large selection of hand-cut goblets, which are made exclusively in the EU countries. The icing on the cake is the glass glass trays - a rarity and specialty on the market. The table culture was never out of fashion, as well as the good table manners. In addition to the fine porcelain from our Collection M -, which leaves nothing to be desired with its large variety of parts and different styles, it is the sparkling crystal glass that we offer. The noble white of the table service or the classic variant with the gold rim of the coffee service harmonizes perfectly on the festively set table and elegant floral arrangement with the clear crystal glasses for wine, champagne, water or liqueur. The elegance and perfection belong to the characteristics of our collections - we guarantee this!